Of all the paperwork you’re handed after a death, certified copies of the death certificate may well be the most useful – or at least, the most used. They can help you arrange the funeral, notify businesses, close down old accounts and generally get the estate settled, so it’s worth having a few to hand. If you’ve not yet picked up any copies of the death certificate, or if you need a replacement or two, don’t worry. Here’s how to obtain a death certificate from the registry office, online, by post or over the phone. So, who issues a death certificate in the UK, and how do you apply for it? If you’ve not yet registered the death, then your first task is to do so at the registry office closest to the place where the person died. You can buy copies of the death certificate at the same time – and at a slightly lower cost than if you ordered them later on. To find out how to register the death, read our dedicated guide here. When settling the estate, it’s really useful to have a few extra copies of the death certificate around so that you can notify more than one business at a time. So, it’s worth getting between four and seven copies now just in case. Then again, you can also order more later on if you need to. How much is a death certificate? If you order your copies when you register the death, they will cost £11 each in England and Wales, £8 each in Northern Ireland and £10 each in Scotland. If you order them later on, the cost of a death certificate rises to £15+ in Northern Ireland and £12+ in Scotland. Copies of the death certificate can be ordered online from the General Register Office here. They can be ordered over the phone by calling the General Register Office on 0300 123 1837. They can be ordered by post using the form here. Simply post it to the address on the form. If you pay the standard rate of £11, your death certificate copies will be sent after 14 working days. For a higher rate of £23.40, they can be sent the next working day. They can be ordered over the phone by calling the General Register Office on 0300 200 7890. They can be ordered by post using the form here. Certificates are usually posted within five working days, with the first copy costing £15 and additional copies ordered at the same time costing £8. Next day priority delivery costs £20 per copy. Copies of the death certificate can be ordered online from the National Records of Scotland here. They will be sent within 15 working days. They can be ordered over the phone by calling the General Register Office on 0131 314 4411. They can be ordered by post by sending the form here to the address included on the form. They will be sent within eight working days. 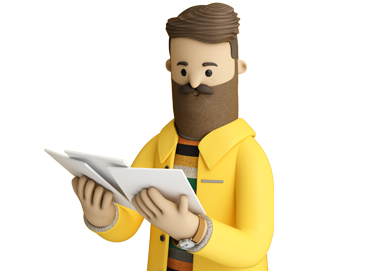 Getting a copy of the death certificate costs £12 with standard delivery and £27 with priority delivery sent the next working day. Can anyone get a copy of a death certificate? Who can collect a death certificate? While only certain people can register a death (usually a close relative takes care of this), anyone can order a replacement death certificate after the registration has taken place. What information is on a death certificate? If you’ve just registered the death, your next step is to arrange the funeral. We can help: you can use our find a funeral director tool to compare prices and reviews for funeral homes in your local area, or arrange a direct cremation with us for just £1,195. Whatever you need, we’re here to support you.